C code to print specific level values in BST. Level 0 mean Root value. Complete C code with implementation of binary tree and level printing in BST. Binary Search Tree code in C, Calculate the sum of left and right subtree . Find sum of left and right subtree in bst ( Binary search tree in C ). Sum of left and right subtree in bst. 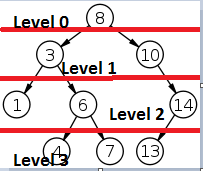 Binary search tree in c.